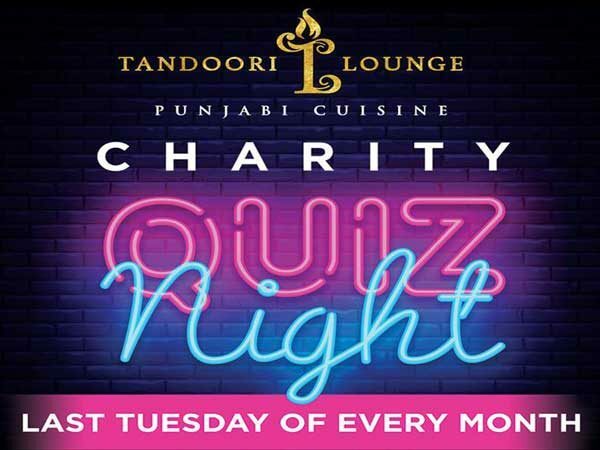 Charity quiz night at Tandoori Lounge in Hornchurch on Tuesday 28th May 2019, starting at 7pm. Raising money for The Dream Factory. 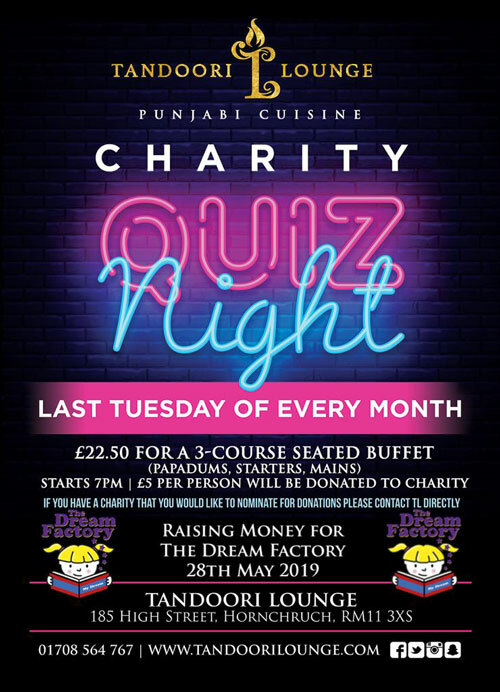 Fun quiz night, raising money for The Dream Factory at Tandoori Lounge in Hornchurch. Three-course seated buffet with fine Punjabi cuisine. £22.50 per person (poppadums, starters and mains). £5 per person will be donated to charity. 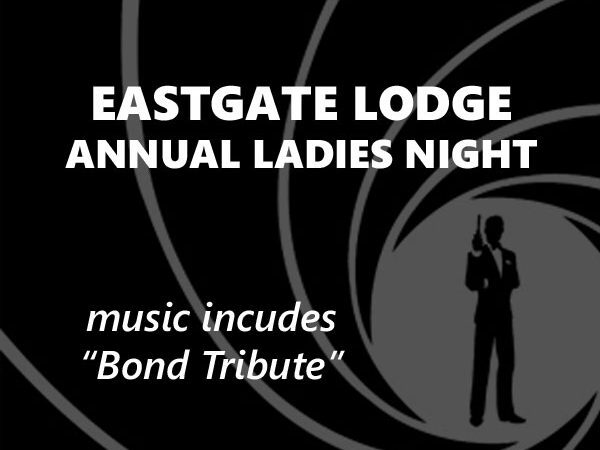 Takes place on Tuesday 28th May 2019, starting at 7pm. Tandoori Lounge, 185 High Street, Hornchurch RM11 3XS. Tel: 01708 564767. Web: www.tandoorilounge.com.